Unit 9 My favorite subject is science.测试卷Ⅰ. 单项选择 (每小题 1 分，共 10 分)从 A，B，C ， D 四个选项中，选出可以填入空白处的最佳选项。( )1. We have math and Chinese _____ Friday morning. A. at B. in C. on D. for( )2. My mother is strict _____ me.A. in B. with C. of D. at( )3. I don’t like science _____ it’s difficult.A. so B. but C. and D. because( )4. The students are _____ after P.E. class.A. busy B. interestingC. tired D. relaxing( )5. —_____ is your favorite action movie actor?—Jackie Chan.A. What B. Who C. When D. Where( )6. Nick is two years old. _____ favorite food is chicken.A. My B. His C. Our D. Your( )7. —Do you have _____ tomatoes?—Sorry, I don’t have _____, but I have _____ carrots. A. any; any, some B. some; some, someC. any; some, some D. any; any, any ( )8. Today we have _____ classes, and the _____ class is math.A. three, three B. first, threeC. three, first D. third, three( )9. _____ bedroom is very big. They like it very much.A. Jim and Jeff B. Jim’s and JeffC. Jim’s and Jeff’s D. Jim and Jeff’s( )10. —What is your favorite _____?—Blue.A. color B. foodC. teacher D. sportⅡ. 完形填空 (每小题 1 分，共 10 分)阅读短文，从 A，B，C ， D 四个选项中，选出可以填入空白处的最佳选项。Hi! I’m Cheng Ling. I’m a 11 of Class 3, Grade 7. My school life (生活) is very12 .We have four classes in the 13 . Classes begin at 8 o’clock. In the afternoon, we have two classes. We have English, science, history, music, and 14 other subjects. 15 is my favorite subject. I often sing and dance with my classmates on weekends. But I 16 science, because I think it’s difficult and 17 . Do you think so?After school, I often play soccer with 18 friends. Sometimes (有时) I swim in a swimming club. But my favorite sport is volleyball. And I can play it 19 .I like my school life very much. 20 you tell me about your school life? ( )11. A. runner B. studentC. musician D. teacher( )12. A. scary B. boringC. interesting D. difficult( )13. A. night B. afternoonC. evening D. morning( )14. A. some B. anyC. a lot D. a little( )15. A. History B. MusicC. Math D. Science( )16. A. don’t like B. doesn’t likeC. like D. likes( )17. A. relaxing B. interestingC. boring D. fun( )18. A. our B. her C. his D. my( )19. A. nice B. fine C. well D. good( )20. A. Can B. Do C. Are D. DoesⅢ. 阅读理解 (每小题 2 分，共 10 分)根据短文内容选择正确选项。Miss Li is my English teacher. She is from Shanghai. She has one English class every day. Oh, no! 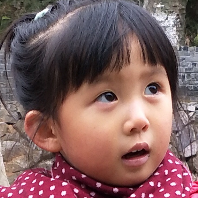 She has two English classes on Tuesday.Miss Li has two daughters. One is Sally. She is in our class, Class Two. Sally likes sports. She plays soccer every day. Her favorite soccer player is Ronaldo from Brazil (巴西). Sally’s twin (双胞胎的 ) sister Susan is in Class One. She doesn’t like any subjects. She doesn’t like to do her homework. She only likes playing with her friend Jeff. Jeff is a white cat. ( )21. Miss Li has _____.A. two English classes on MondayB. two daughtersC. a soccer ballD. a white dog( )22. We can know Ronaldo is a(n) _____ from the passage.A. English teacher B. studentC. soccer player D. actor( )23. Miss Li is from _____.A. England B. BrazilC. America D. China ( )24. 下面哪项陈述是正确的？A. Susan is Sally’s sister. B. Susan likes sports.C. Sally doesn’t often do her homework.D. Sally likes playing with Jeff. ( )25. 下面哪项陈述是错误的？A. Sally plays soccer every day.B. Susan doesn’t like any subjects.C. Susan and Sally are in different(不同的) classes.D. Jeff is a dog.Ⅳ. 情景交际 (每小题 2 分，共 10 分)根据对话内容补全所缺句子。A: Hey, Bob!26 ?B: Yes, I do. Our school is very big and nice.A: Are you good with your new classmates?B: Yes, I am. They are friendly (友好的) to me. A: 27 ? B: Mr Miller. His Chinese is very good. I like his classes.A: Really? 28 ?B: Yes, he is. I like him best.A: 29 ?B: We usually have Chinese on Monday, Tuesday and Thursday. A: 30 ?B: Yes, I do. Jenny is in our class and she is Mr Miller’s daughter.Ⅴ. 词汇 (每小题 2 分，共 10 分)根据句意及括号内所给词的提示填空。31. I can’t see _________(some) dogs in the room.32. Ken has two favorite _________(subject).33. Mr Green is my science _________(teach).34. Beijing and Shanghai are big _________(city).35. My little sister knows a lot of _________(word).Ⅵ. 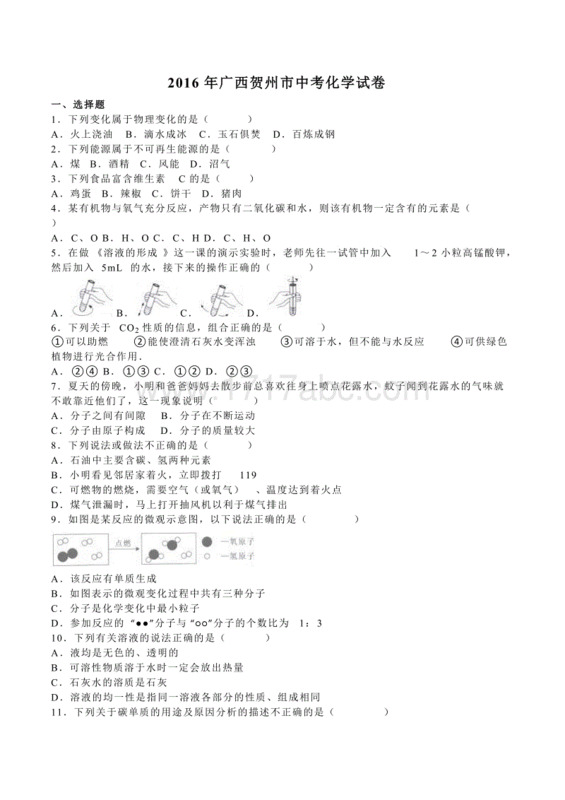 完成句子 (每小题 2 分，共 20 分)A) 根据汉语意思完成英语句子，每空一词。36. 你每天和你妹妹玩电脑游戏吗？Do you _________ computer games _________ your sister every day?37. 王先生没有问我问题。Mr Wang doesn’t _________ me _________ questions.38. 谁是你最喜爱的老师？_________ is your _________ teacher?39. 不要围着桌子跑。Don’t _________ _________ the table.40. 今天你妈妈很忙吗？_________ your mother very _________ today?B) 根据括号内的要求完成句子，每空一词(含缩写)。41. He likes biology best. (改为同义句)_________ favorite _________ is biology.42. After lunch he has math. (改为否定句)After lunch he _________ _________ math.43. I like Mr Miller because he is fun. (对划线部分提问 )_________ _________ you like Mr Miller? 44. I don’t think art is interesting. (改为同义句)I _________ art is _________.45. Scott has music on Monday. (对划线部分提问)_________ _________ Scott have music?Ⅶ. 写作 (10 分) 请根据下面的提示，以 My favorite day 为题，写一篇 60 词左右的短文，可适当发挥。提示内容：1. 你叫 Mike，星期天是你最喜爱的一天，因为那天你不用上学；2. 你可以去游泳俱乐部游泳，还可以和你的好朋友 Nick 玩；3. 介绍你的好朋友 Nick：它是一只白色的小狗。My favorite day_________________________________________________________________________________________________________________________________________________________________________________________________________________________________________________________________________________________________________________________________________________________参考答案Ⅰ. 1-5 CBDCB 6-10 BACDA Ⅱ. 11-15 BCDAB 16-20 ACDCA Ⅲ. 21-25 BCDADⅣ. 26. Do you like your new school 27. Who is your Chinese teacher28. Is he your favorite teacher29. When do you usually have Chinese30. Do you know JennyⅤ. 31. any 32. subjects 33. teacher 34. cities 35. wordsⅥ. A) 36. play, with 37. ask, any 38. Who, favorite39. run around 40. Is, busy B) 41. His, subject 42. doesn’t have 43. Why do44. think, boring 45. When doesⅦ. One possible version:My favorite dayHello! I’m Mike. I’m an English boy. My favorite day is Sunday because I don’t go to school on that day. And I can go to the swimming club. There I usually swim for two hours. On that day I can also play with my good friend, Nick. Nick is a white dog. It is two years old. I like it very much.